How do you handle classroom jobs in your classroom? I used to have a job for every student in my classroom. But, I always forgot who did what and got tired of referencing my job chart to find out. When we were out of the classroom, I never could remember who was in charge of what. No more! 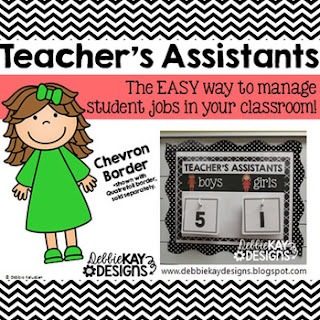 Now, I have 2 teacher’s assistants per day and they literally do ALL of the jobs that day. This method has really worked for me and has simplified managing student jobs. Everyone gets a turn at doing everything and I don’t have to keep track of which students have held certain jobs or not. Plus, I don’t have to dedicate as much wall space in my room for this simple little chart versus the entire bulletin board my former job chart took up. Each day I have a boy and girl assistant. They are my line leaders, take lunch money to the café, return library books, pass out papers, EVERYTHING! They love being “in charge” for the day and I love not having the hassle of assigning jobs and keeping track of who is supposed to be doing things. 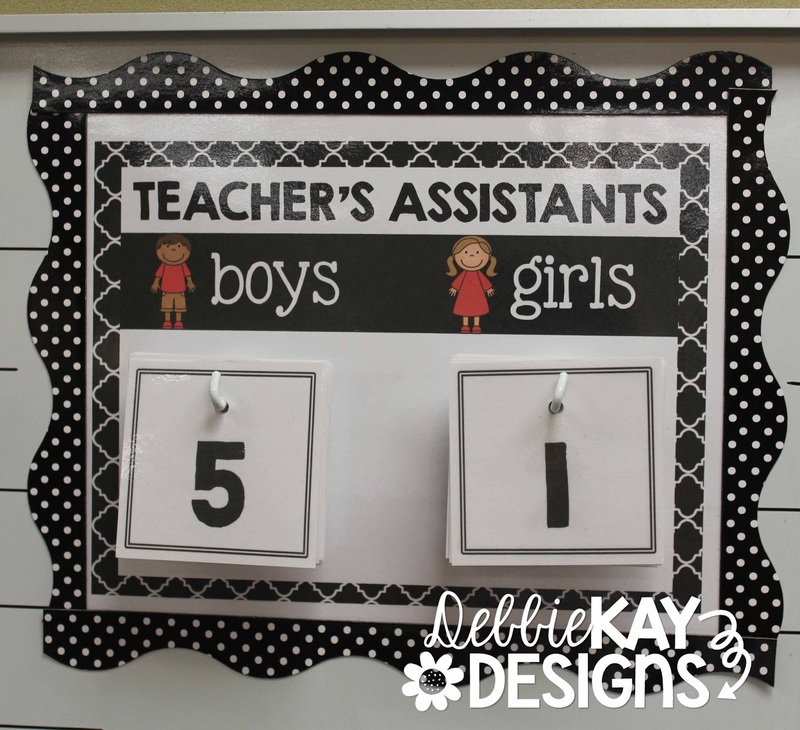 Included in this packet are number cards and choice of 6 different color charts. Please check out the preview to see color choices. Each chart has a black & white border. **Please note that the magnetic border shown in the photographs is obviously not included. However, I wanted to show you how I hang mine in my own classroom. Simply print out the chart and number cards, laminate, and hang. 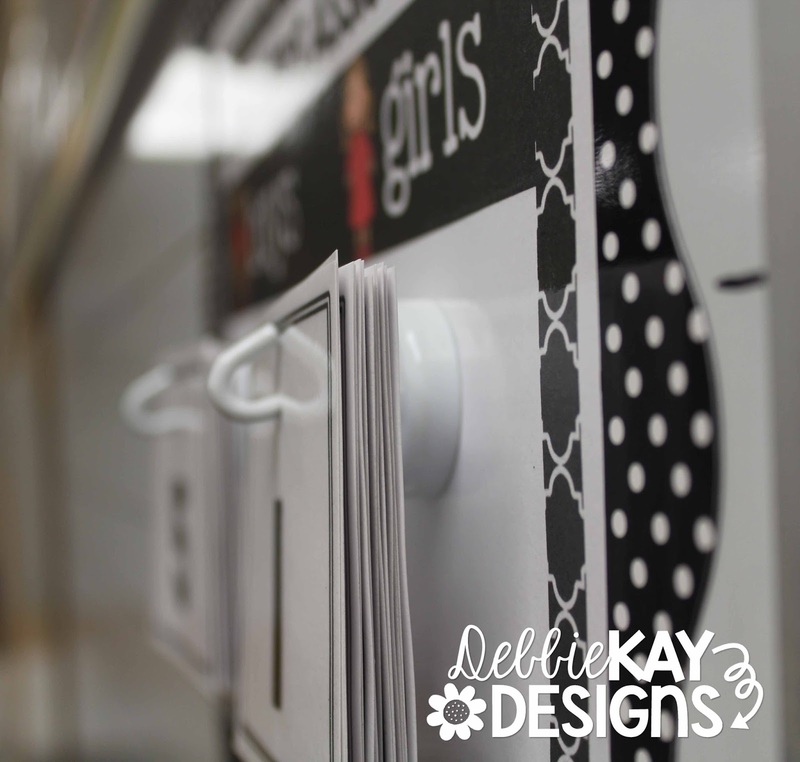 I punched holes in the top of my number cards and hang them from a magnetic hook. 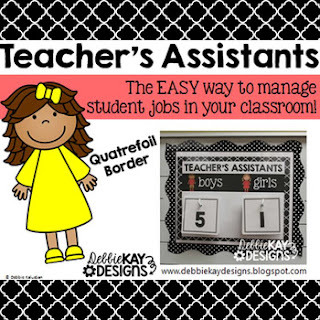 You'll want to assign each student a number. 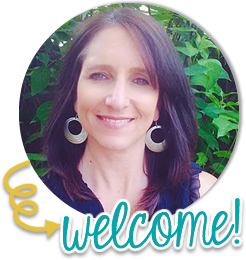 You may be like me and use student numbers for other things such as student mailboxes or desks. You're all set! If you have any questions, I'd be happy to answer them. Leave me a comment below!